One of the most played and popular Video Slots in the online gaming sector is here, as great as ever. With raging animals, the African savannah, majestic features, and a stunning gameplay, there is no doubt in anyone’s´ minds of why this game is so highly requested for players all across the world. Williams Interactive is the sole supplier behind this game, one that time after time creates the true, long-lasting player favourites – this one being inspired by rhinos and other unique animals ones rarely see. They are roaming freely around in their wild habitat like it is supposed to be. 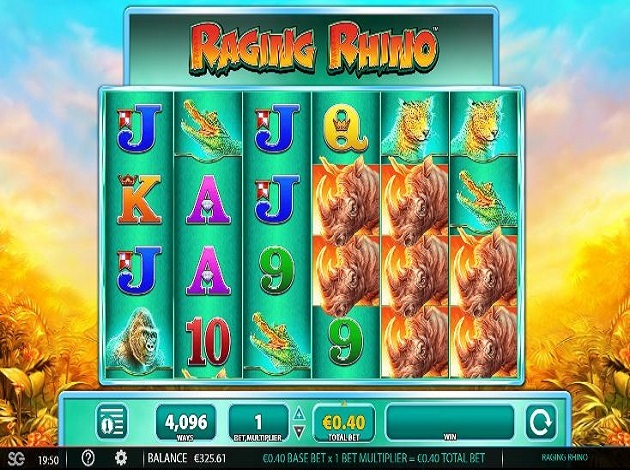 We are glad to present the free, beautiful, Raging Rhino Video Slot from Williams Interactive! Raging Rhino is quite a simple Video Slot, where it is all about the mighty animals in the African savannah. A place with hidden secrets, rewarding findings, and a thrilling journey to them. the symbols all reflect this theme flawlessly, which you can see in both designs and on the actual symbols. The lower valued symbols are the classic card deck symbols ranging from 10 to Ace, in various colours. The higher valued symbols are the snow-white weasel, the terrifying alligator, the majestic leopard, the stunning gorilla, and the raging Rhino. He is the main character, but also the top player among the basic symbols. These are all quite valuable, but the values vary depending on the bet you placed. Above these basic symbols, there are a couple of extra ones to grant you special features and more wins. The overlook of the tree in front of the yellow sunset is the Wild Symbol, and the shiny diamond is the Feature Symbol. We will reveal more about these now. Pretty astounding! During the Free Spins Feature, 2, 3, 4, 5, or 6 scattered diamonds will then award you another 5, 8, 15, 20, or 50 extra Free Spins. Even better is that during this feature, the Wilds can appear in winning combinations on reels 2, 3, 4, and/or 5 and will transform into Wild 2x or 3x. the Wild can substitute for all symbols apart from the diamond. The Wild in the game is the overview of the African savannah and its sunset, and it only appears on reel 2, 3, 4, and 5. Raging Rhino is played with 5 reels over 4 rows and additional astounding 4096 ways-to-win. The winning combinations pay from left to right. The 4096 ways-to-win makes sure that the wins are multiplied by the bet multiplier, and they pay on adjacent reels from the left. The game also holds an RTP of 95.91%. Something that makes Raging Rhino unique is that it was the first ever Williams Interactive game with the so-called Bonus Guarantee feature, which guarantees players that they won't leave a bonus round without at least ten times the bet stake. This is surely one of the many reasons to why Raging Rhino is one of Williams´ most well-known and popular Video Slots. But it might also have a lot do to with the simple and easy-navigated design in the game. You can easily find the control panel below the reels, where you place your bets and make your settings. Above this, you can enjoy a simple theme with no over-made animations or symbols, just plain and simply nice graphics and designs – perfect for a nice and smooth gaming experience. There is simply nothing not to love about this Raging Rhino! Williams Interactive is a wholly owned subsidiary of WMS Industries, whose foundation dates all the way back to 1943 where founder Harry Williams invented the Tilt mechanism for Pinball machines. Their longevity and unique position Williams Interactive has in this business have led to a company with a strong social compass actively involved in supporting the efforts of social service organisations, schools and other non-profit organisations. 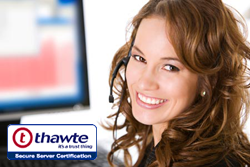 This social awareness has set a brilliant example of other developers and keeps the organisation grounded and aware. Some of the games brought to you by Williams Interactive are Zeus, Wizard of Oz, and Bruce Lee.